Learn more about our Battery Club. Complimentary hearing aid cleaning and check-up! When hearing is damaged, the sounds of life begin to fade. For most people this is a gradual process. Typically the sounds in the higher frequencies begin to disappear first. Birds chirping in the trees become fainter and fainter. Music becomes less clear. Since the lower frequencies are usually heard better or even normally, it isn’t unusual for people to think that there is no problem. It’s easy to forget what things sounded like before. Especially since many of the softer sounds are things we often tend to tune out anyway. As the hearing loss worsens, the sounds necessary for understanding speech begin to be affected. Soft high frequency consonants are no longer heard and it becomes difficult to reliably distinguish one sound from another. At this point, it may become obvious that you can hear but you can’t always understand what is said, especially when there is background noise. You need to turn the T V volume louder than before. It seems like people mumble sometimes but other times, you understand perfectly. It is natural to think that the problem must be because other people are not speaking clearly, when in fact, it is your hearing that is not clear. Because people can’t see or understand your hearing loss, they may think you are just being unsociable. The comment “He can hear perfectly when he wants to” is a common complaint from family and friends of a hearing impaired person. The gradual nature of most hearing loss makes it easy to ignore until it begins to have a major impact on your life. If the loss were to happen overnight, the difference would be dramatic and you would quickly seek help to find out what was the matter. So what causes people to lose their hearing? As you can see from the previous description, the ear is quite complicated. A problem with any part of the system can cause a loss of hearing. The medical profession defines two main categories of hearing loss. Conductive hearing loss is caused by any problem in the outer or middle ear that interferes with the transmission of sound. This interference can be caused by such things as a large build-up of earwax, infections or growths in the outer ear, holes in the eardrum, a disease called otosclerosis (which causes the tiny bones to become fixed and unable to vibrate) or genetic factors. 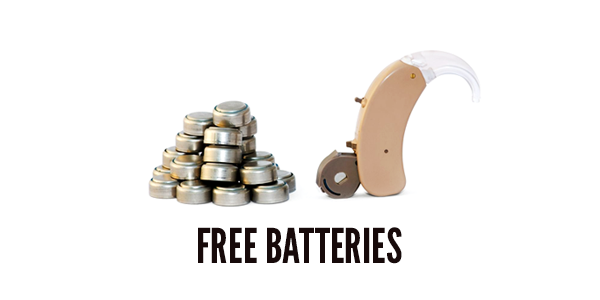 Conductive hearing loss can often be corrected or improved with medical intervention but when that is not possible, hearing instruments can usually help. 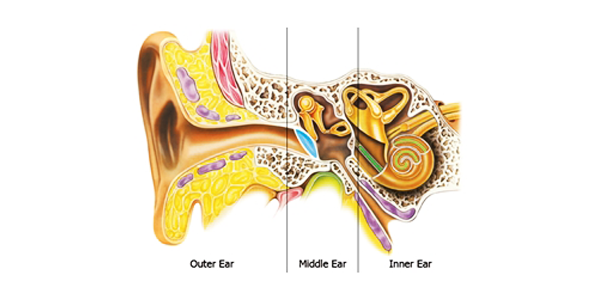 Sensorineural hearing loss is the term used to describe problems in the inner ear, either in the cochlea, hearing nerve or auditory pathway (often called nerve deafness). This type of hearing loss can be caused by many things but the most common cause is deterioration of the hair cells in the cochlea due to aging and/or exposure to loud sounds. 90 % of all hearing losses are the sensorineural type. This kind of problem can rarely be helped medically but fortunately hearing instruments can help. A third type of hearing loss is called mixed hearing loss and is simply a combination of conductive and sensorineural problems. 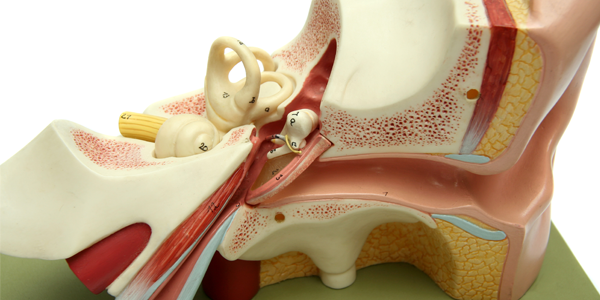 Many people with mixed hearing loss are also able to benefit from hearing instruments. Ten communication habits with people who experience hearing difficulties. 1 Get the attention of the hearing impaired person before you start speaking. If they are “ready” to communicate, they are less likely to miss anything. Speak in a clear, projected voice but not too loud. Enunciate clearly but do not overemphasize your words. 3 Don’t talk too fast or too slow. Many people with hearing loss understand better when speech is just slightly slower than normal, but not too slow! 4 Make sure your face can be clearly seen. Lighting should be adequate and there should be nothing covering your mouth or face. Many sounds of speech are visible on the lips and can provide important extra clues. 5 Don’t talk when the water is running. Background noises can make understanding very difficult. Turn off sources of noise before having a conversation or move to a quieter area, if possible. 6 Don’t talk to someone from the next room. Distance from the listener is important. The further away you are, the less of a chance that you will be heard. Make sure you are in the same room and close enough to be easily heard and seen. 7 Rephrase rather than repeat. When someone asks you to repeat, it may be more helpful if you rephrase what you said. Sometimes different words will be easier to understand. 8 Be on the lookout for misunderstandings. Ask questions from time to time to make sure that the person has understood what you have said. 9 Relax and be patient. People with hearing loss often feel a great amount of stress as they concentrate to understand every word that is said. A kind facial expression and an accepting attitude can help a hearing impaired person relax and enjoy the conversation. 10 Encourage the person to try a hearing instrument.